Take the necessities everywhere with you with this sweet little woven wristlet. 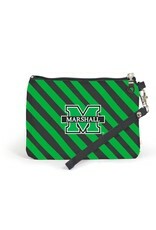 It will hold your phone and your mad money. 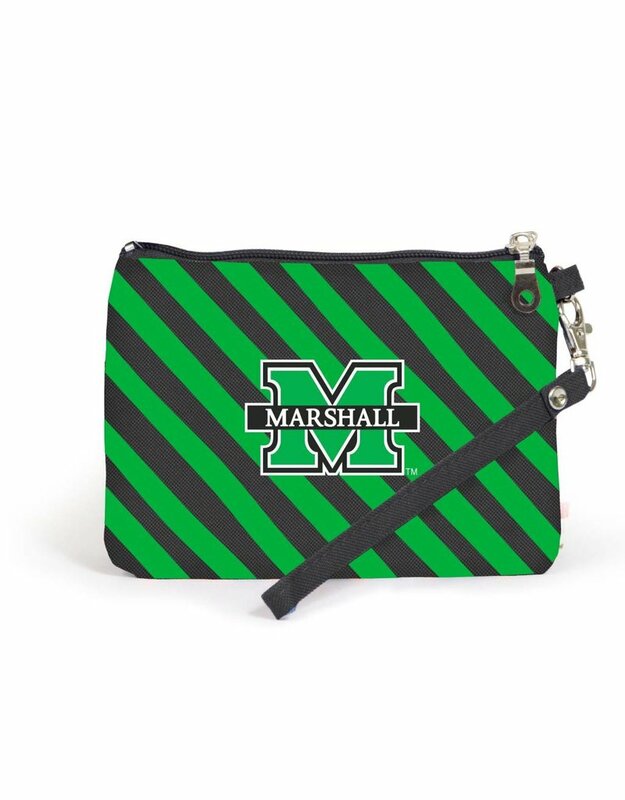 The woven nylon bag features a fully zipped top and a loop for wrapping around your wrist as well as the printed Marshall "M" logo. Also has a clear window on the back for your ID. Love it!